Currently Mr Barrett’s favourite fit for his body type. 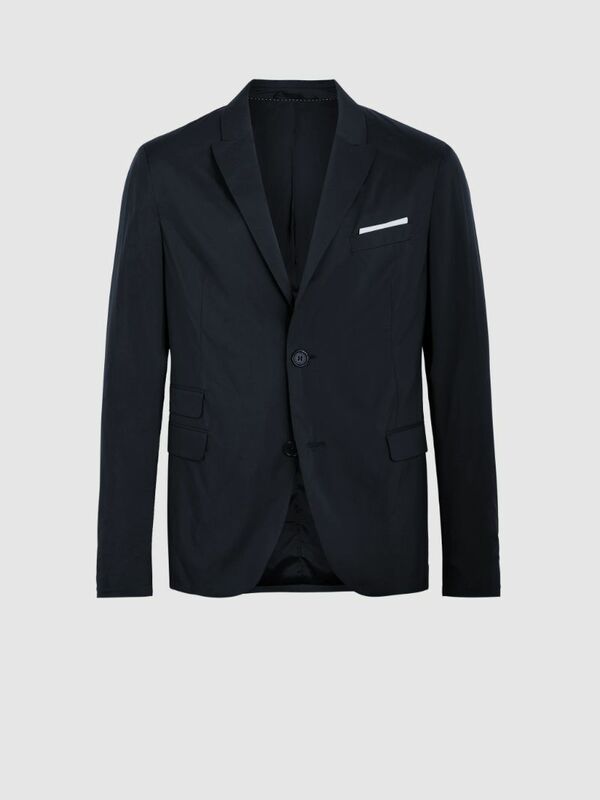 These jackets are "slim fit" with a waist one size smaller. 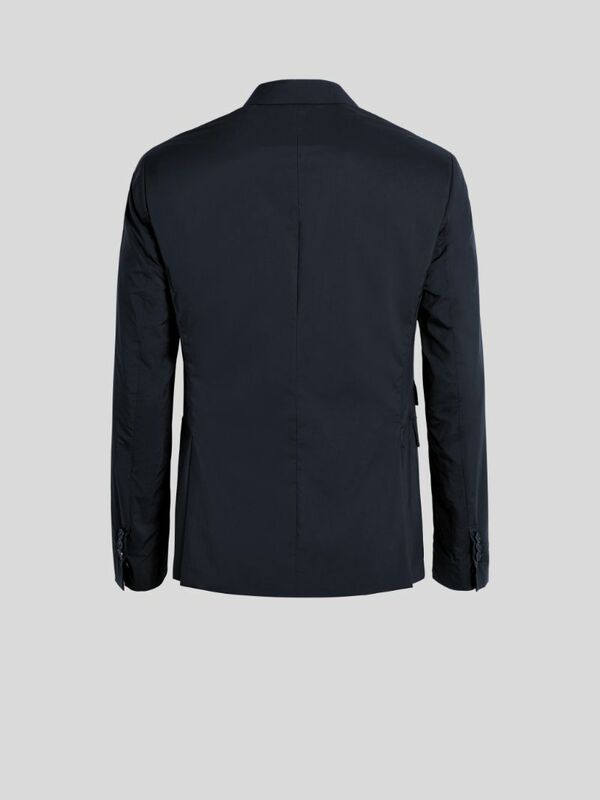 This single breasted jacket features double flap pockets to one side and a single one to the other for a cool asymmetry. 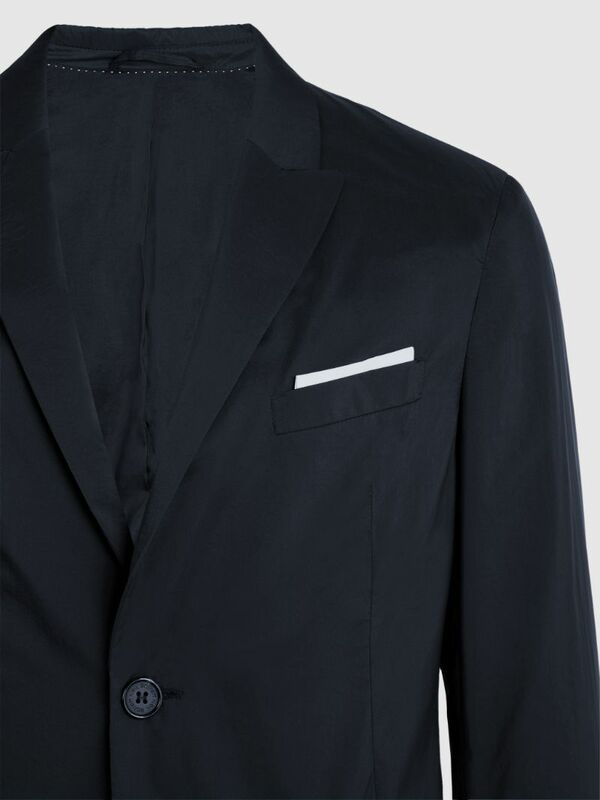 Crafted from a slick black summer weight fabric, its figure forming fit makes it a strong staple for doing business.